The state is much more than a rhetorical leader. States and countries around the world have to drastically reduce their greenhouse gas emissions to achieve the Paris climate agreement’s goal of keeping temperatures from rising more than 2 degrees Celsius compared to pre-industrial levels. California’s ongoing progress in this effort is a sign that the United Nations’ goal of a clean energy future is possible. You can take action on this issue here. California reached its 2020 goal for carbon emissions in 2016, four years ahead of schedule, according to a report by the California Air Resources Board, showing that investments in renewable energy and efficiency standards are paying off. The Golden State released 429.4 million metric tons of carbon in 2016, 2.6% lower than the year before, and 13% lower than in 2004 when emissions peaked at 493.7 million metric tons. This brings carbon emissions in California to levels not seen since before 1990, according to the San Francisco Chronicle. California has the second-highest aggregate level of greenhouse gas emissions in the US, behind only Texas, but the state has the third-lowest per capita emissions, according to the US Energy Information Administration. That means that the average Californian is responsible for fewer emissions than the average American. New York is the only state with lower per capita emissions, and Wyoming has the highest per capita level. California’s latest achievement began in 2006, when former Governor Arnold Schwarzenegger signed a law requiring the state to return to 1990 levels of emissions by 2020. The actor and advocate celebrated the achievement on Wednesday. The decline in 2016 is primarily due to the growing viability of renewable energy. The electricity sector saw emissions fall by 19% compared to the year before. Utility companies have been held to stringent standards, and the biggest providers currently get more than a third of their energy from clean sources. By 2030, the state is requiring utilities to generate 50% of their energy from renewables. Transportation, on the other hand, generated an increase in emissions because of low oil prices, a booming economy, and a relative dearth of electric vehicles in California, the Chronicle notes. 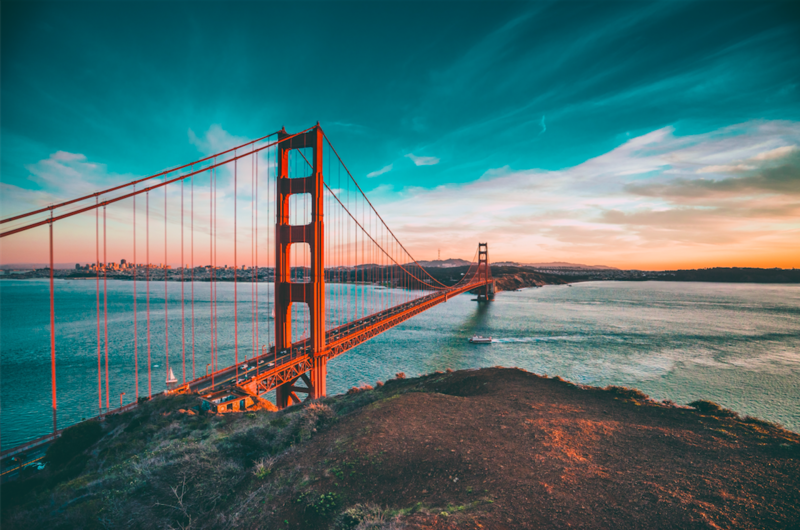 California, however, has vowed to enforce the Corporate Average Fuel Economy (CAFE) standards, which was suspended on the federal level by the Environmental Protection Agency earlier in the year. The CAFE standards require all new cars to get at least 54.5 miles per gallon by 2025 and will likely help to reduce emissions from the transportation sector. That’s just one part of the state’s larger commitment to cutting carbon emissions in 2050 by 80% compared to 1990 levels, which will require the state to shed 343.3 million metric tons of carbon.